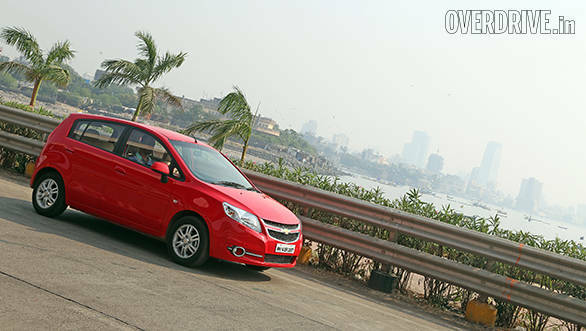 In a bid to capitalise on the festive season sales, Chevrolet India has announced offers on some of its models. Offers include extended warranty, free maintenance package, free insurance and exchange benefits (on all cars except for the Spark and Captiva) of up to Rs 30,000. The Beat and Cruze get free insurance for the first year, free three year maintenance, 3+2 year extended warranty and exchange bonus of Rs 20,000 and Rs 30,000, respectively. The Chevrolet Cruze is also offered with a 9.9 per cent interest finance scheme from ICICI Bank. While the Sail hatchback and the Sail notchback can be purchased along with the same offers and schemes as the Beat, the exchange bonus offered on these cars is Rs 25,000 higher. The Tavera gets three years warranty but the exchange bonus offered is of only up to Rs 15,000. Arvind Saxena, president and managing director, General Motors India, said, "We are pleased to announce exciting offers on Chevrolet cars, to celebrate the festive period with customers in India. This is a great time to purchase Chevrolet cars, as customers will get the best value for their money along with complete piece of mind giving them a truly satisfying ownership experience." Chevrolet India will not be providing any discount or additional features on the car models in its existing range. The above offers can be availed until October 31, 2015.